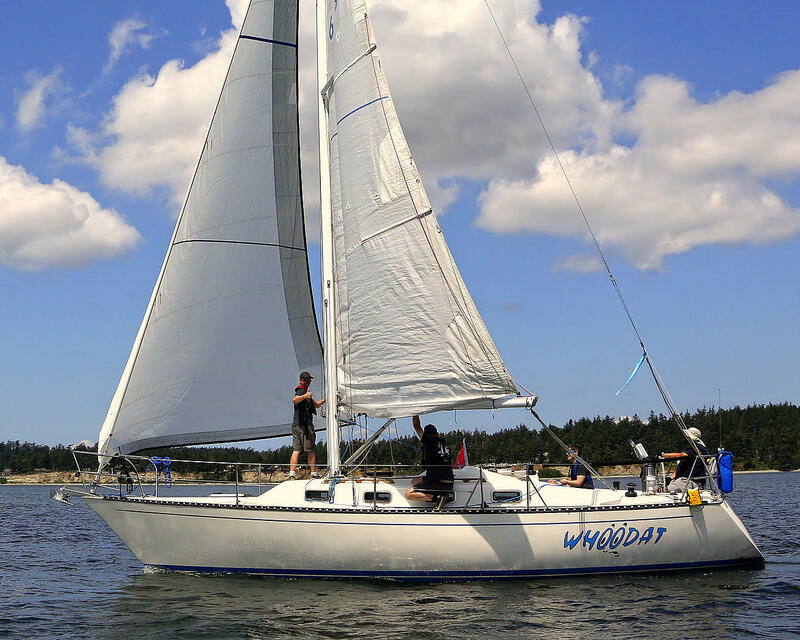 Whoodat is Tartan 33 hailing from Spokane, WA and skippered by Kevin Jones. With a PHRF rating of 162 Whoodat isn't likely to be a line honors contender, but all that means is they get more racing for their money. Whoodat started the Oregon Offshore a couple of years ago but withdrew due to engine problems before turning right at Neah Bay. The boat was new to Kevin then and having corrected those pesky engine issues, the team is excited to give the OOR another go. 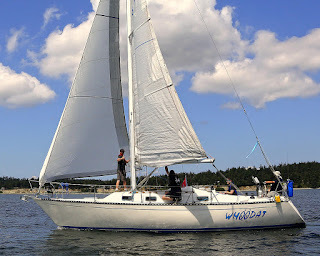 This will be the first offshore race (finish anyway) for Whoodat, though the crew has sailed thousands of offshore miles, including two deliveries from Hawaii to Seattle. By the way, Kevin says this is the only photo of Whoddat under way, so anyone with a camera during the race should snap some photos for next year's Offshore entry announcement. Going, Going, Go...stop the presses!